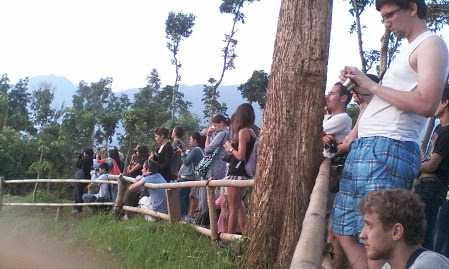 Punthuk Setumbu Hill is one good spot, also cheap, to see the sunrise. 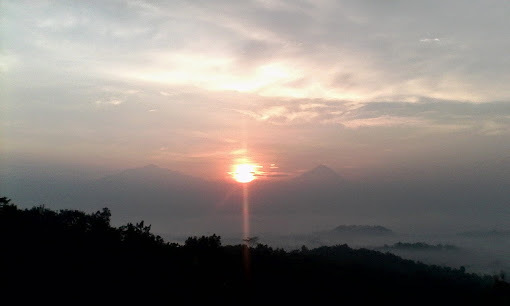 It’s called Borobudur Nirwana Sunrise – Punthuk Setumbu Hill. 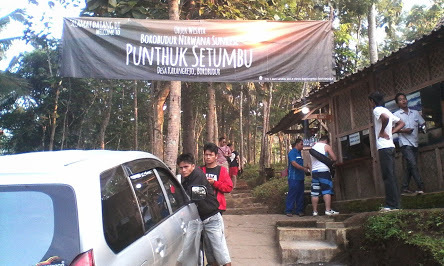 Not so far from Borobudur located. It’s a small area on the top of the hill. 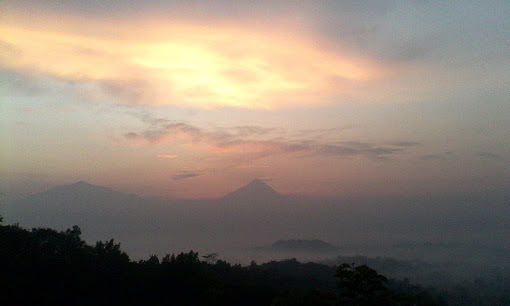 But, we can see Mount Merbabu, Mount Merapi and Borobudur Temple straight. On May 24, 2014 I was there to guide my guests. Surprisingly, weather in good condition. From the top, we can see Borobudur Temple surrounded by the mist. From the hill we could only see the top stupa of Borobudur Temple. Just amazingly beautiful. From the top, we could breath the fresh morning air. It make our mind so peaceful. The sky slowly turning into red, yellow and orange. People getting ready with the their various camera. Prepared for the sunrise.